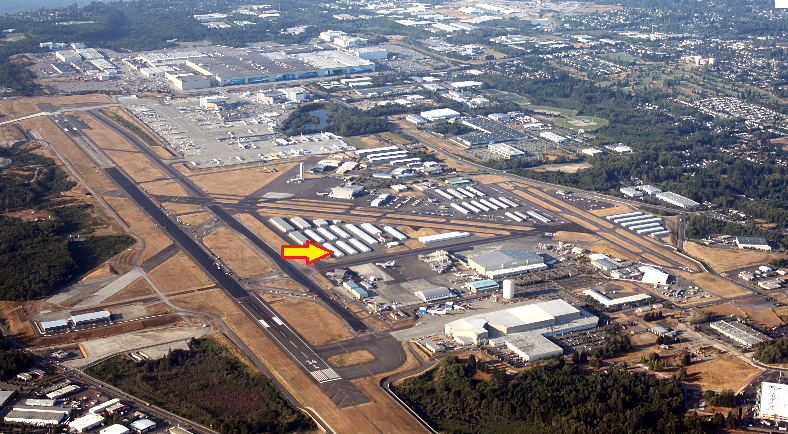 The guys in the 1440 chapter (Seattle Eastside) got together for a BBQ at a member's hangar on Paine Field. The hangar is just one row over from mine, so it was great to go up there and check it out. We had perfect weather and a great showing. A couple of our Chapter's RVs and a STOL 701 showed up. After the BBQ I went home and focused on riveting my forward deck, also practiced a bit with my Decal Pro FX panel label kit. A bit worried about how it will turn out. They scratch easy and are pretty hard to deal with. Need a bit more practice and will grab some pics of the process. I have been prepping the panel for about a week now and finally I shot it with top coat. I chose to go with a different color than the black that I had used for trim in the interior. The seats will have some grey in them as will the seatbelts, so I went with a flat dark grey on the panel. Not sure how it is going to look in the end, but I am not going back now. One thing I can say is that the top coat came out very nice, just hope the color brings everything together in the end. Now time to give it a few days to dry while I figure out how to rivet together the sub panel (which I final painted as well), then start putting things together again for the last time ! 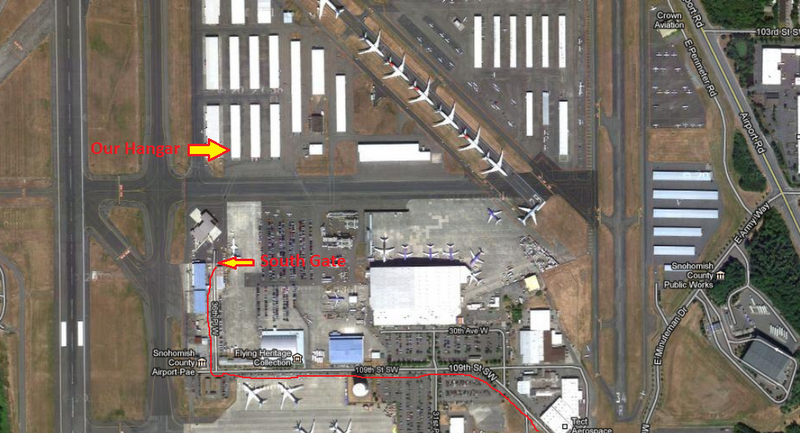 The hangar is accessed from the southeast side of the airport and the access gate has the following address: 10700 36th Pl W, Everett, WA 98204. 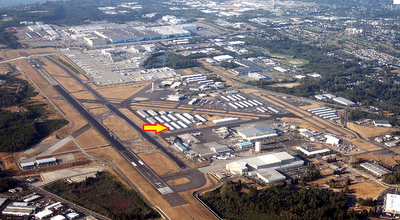 When you get close, follow the signs for "West Ramp Access" and "Gate S-9". Make your last turn onto 36th place when you see the fire department, at the end you will come to the gate, just pull aside and call Chad’s cellphone and wait for us to let you in. You will be able to see our hangar from the gate and we can see you, so will be able to get you in quickly. For those flying in or with ramp access, the hangar is located in the "West Hangars"
Today I basically finished up the mid-section of the airplane apart from the top skin. Originally I was going to take the ELT antenna out back underneath the empennage fairing.. In the end after looking at it a bit I decided to take the shorter route. I like the decision because the TSO’d antenna states it needs to be near vertical which is easy to achieve in the location I chose, plus this keeps the weight forward which is also one of my goals. I did have to fabricate some tapered washers (shims) to help stand it up a bit, and then with some standoffs from the roll bar it came together well. You will be able to see this by looking into the rear window standing next to the plane, but that’s OK, lots of builders and even Vans recommends this location. Definitely inside is better than hanging outside slowing the plane down. ;-) Also, a bend in the cable gives for some additional length if in the event of an emergency landing there is bending that happens to the fuse. This ELT antenna will have plenty of length to survive intact. I also removed the panel components and pulled the panel. Time to prep this baby for paint and get it back in the plane for the final time.